Lenovo Yoga 730 Convertible 2-in-1 Laptop: Complete tasks while you’re mobile with this Lenovo Yoga laptop. It transitions to a tablet with touch-screen control, and then back to a laptop for typing, and its Bluetooth capability lets you connect wireless peripherals for extra control. 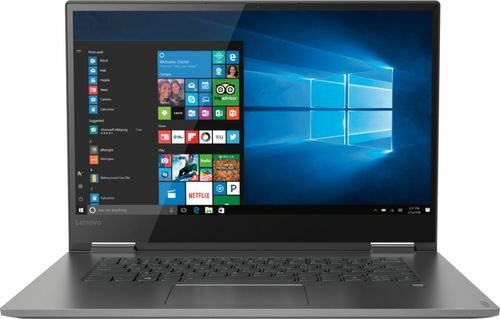 This Lenovo Yoga laptop has a powerful eighth-generation Intel Core processor and 8GB of RAM for speedy computing.